A permanent wave is a service that creates permanent curl, waves, or body. 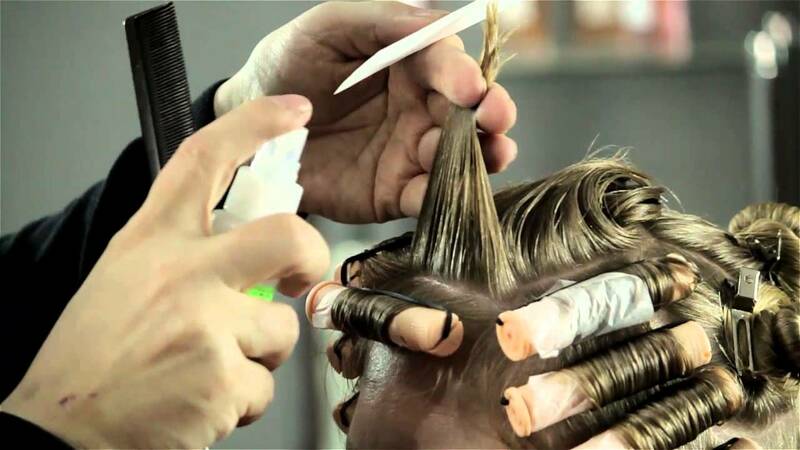 To achieve this, hair is wound around small plastic curlers, called rods. Once every strand is rolled, locks are saturated with waving lotion. This lifts the individual tiles that comprise your hair’s cuticle layer, seeps into the hair strand, and breaks down the bonds that give your hair its individual shape. This lotion is sometimes called “reducing” lotion because it actually reduces the interlocking ability of hair’s bonds. 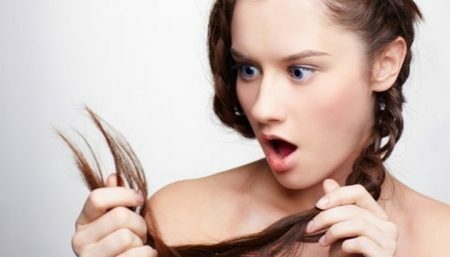 Following a perm, it takes up to 48 hours for your hair’s keratin to completely re-bond and your cuticle layer to close. That’s why you are not supposed to wash, wet style, or brush your hair during this period. When the hair’s bonds have been broken apart, the hair is then doused in neutralizer; this forces hair’s bonds to re-form according to the configuration of the rods the hair is rolled on. This neutralizer is often called an oxidizing liquid because it into the hair, which in turn combines with the hair’s natural hydrogen molecules to form new hair bonds. 1. Alkaline permanent waves These are standard perms. Their waving lotions use a strong, alkaline chemical called ammonium thioglycolate, hence their nickname “thio perms”. They work quickly, give strong curl, and are great for hair that is resistant to perms, such as coarse or Asian hair. The bad thing about alkaline perms is that they do not offer subtle, soft results, and can be very damaging. In addition, they are not recommended for those with artificial colour on their hair or for people who have very dry or damaged locks. 2. Acid waves These are gentler than alkaline perms. Their waving lotions use a kinder chemical called glyceryl monothyioglycylate. If you have fragile, coloured, are damaged hair, acid waves are the perm for you. Unfortunately, acid perms are more likely to give subtle ripples, or lots of body, rather than firm, crisp curls. Note: endothermic acid waves require an application of heat; exothermic acid waves do not. A combination of ammonia and ammonium thioglycolate is what gives a permanent wave its tell-tale odour. When you get a perm, you put your locks through a complicated process designed to break down, then reconfigure the structure of each strand of hair. All this quick-changing is hard on hair, leaving tresses fragile. Coddling is required to prevent treated locks from looking or being damaged. You used to rake though your hair with a vent brush, or tug at wet strands with a fine-toothed comb. Maybe you scraped locks back into a tight ponytail that you held in place with a rubber band you removed from a bundle of newspapers. Or perhaps you were constantly twirling your hair or nervously fiddling with it in some other way. All this has got to stop now that you have a perm. Think of your strands as something precious and very delicate, akin to the fibres that make up a silk blouse or angora sweater. Careful handling doesn’t require any special instructions – simply use common sense: detangle hair gently before brushing, don’t style or touch or play with strands more than necessary, pull hair back in windy weather so locks won’t become knotted, and so on. When brushing your permed hair use a pick or a wide toothcomb. Start at the ends and work your way to the roots, making sure to be gentle and not to tug. Detangler can be used if needed. 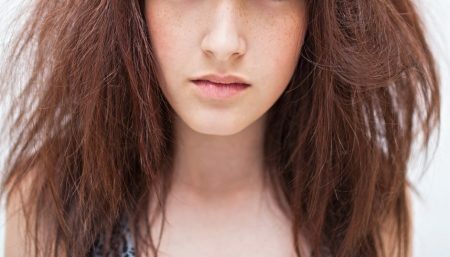 Don’t get a perm if your head has scratches, nicks, pimples, or if your skin is in any way broken – the chemicals can severely irritate your scalp. If, before your perm, you were using shampoo and conditioners formulated foroily or normal hair, or if you were using body building or dandruff shampoos, post-perm is the time to switch. Harsh detergents rough up your permed hair’s already manhandled cuticle, damaging strands, drying hair, and turning locks into a frizzy mess. You see, products for chemically treated hair not only have gentle detergents, they boast concentrated emollients, which do several things: they protect hair from moisture loss, condition and help repair perm-abused hair, and keep curls fit and bouncy. It’s true moisturized curls are springier than their dehydrated cousins. 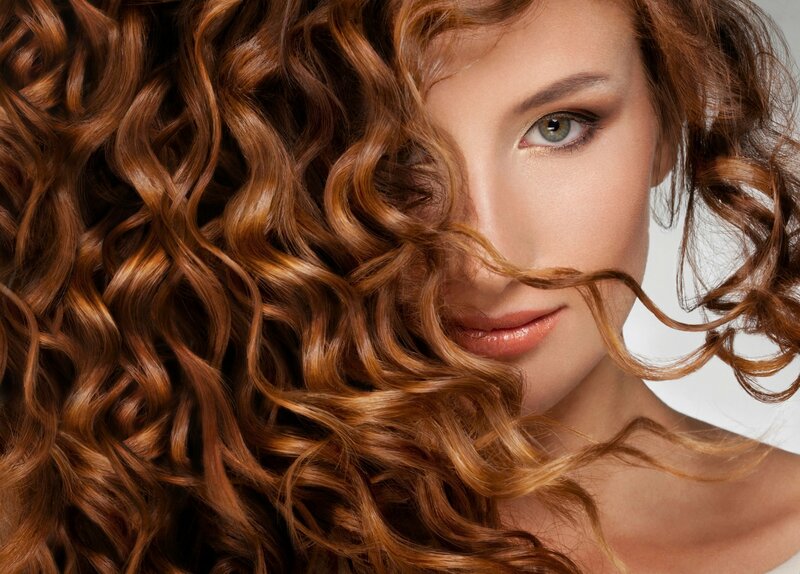 To emphasize individual curls, some people use gel, sculpting lotion, and/or mousse on permed hair. Not only can these products dry already-dehydrated hair, they create a “crunchy” finish. These products behave like adhesive, hair loses its flexibility and you end up accidentally pulling strands of hair from the root or trying to break apart glued-together ends. Instead, opt for conditioning creams and sprays. With your hand, gently scrunch your permed hair daily. After using styling products is always a good time. Doing this will help in keeping your perm looking bouncy and beautiful.